In today’s guest post, Dickinson College student and AIPR Communications Intern Sam Gillespie applies an early warning systems (EWS) lens to Cameroon, where he is currently studying. “It could never happen to me.” Whether our nature or just a common sense of denial, most would agree that humans rarely think they will become the victim of an unfortunate event. This spans from third graders thinking they won’t be picked last for the team, to a homeowner opting out of flood insurance, to states refusing to admit they are at risk of a humanitarian crisis. In sub-Saharan Africa, this impulse to deny an imminent crisis is particularly pronounced—especially among unstable states at risk of mass atrocities. Enter early warning systems (EWS). Early warning forecasting seeks to monitor certain factors that determine a states’ likeliness to commit atrocities. Early warning is cost effective since the costs to monitor certain factors are less expensive than intervening after crises take place. Some of these risk factors include official discrimination against a group within the state, political instability, increased military activity, and conflicts with neighboring states. Unfortunately, analysis of these factors is difficult to accomplish without resources, technology and funding. Furthermore, these early warning factors are usually not evident to the naked eye, whether viewed by local citizens, surrounding countries, or the international community. Economic growth, political proceedings and even tourist activity may carry on as usual, without giving any indication of imminent violence. As a result, atrocities that may be predictable to a team of analysts may appear to be spontaneous to the untrained eye. For the last five months, I have been studying abroad in Yaoundé, Cameroon, with a program that has successfully sent students here since 1993. For nearly 20 years, the program has never feared for the safety of its students. Since being here, I have never feared for my safety more than I would in the United States. But despite my confidence in Cameroonian infrastructure, studying early warning systems have forced me to question the stability of what I thought was a stable country. In a country such as Cameroon, any local or visitor could say the prospect of genocide is ridiculously far-fetched, as I would have said before analyzing the early warning factors. But by analyzing these certain risk factors in Cameroon, I’ve discovered that the likelihood of genocide and mass atrocities in this country is not as far off as I had first thought. Thanks to a study done by the University of Sydney and the University of New South Wales where Cameroon was ranked 13 on a list of countries most at risk of a mass atrocity, I have begun to more carefully examine early warning factors and how they indicate a potential threat. One of the first important things to remember when discussing genocide and analyzing its risk factors is that the term itself means the targeting of a specific group and “results in the deaths of a substantial portion of a communal group or politicized non-communal group.” Therefore in forecasting genocide, an important factor is the official discrimination against a group within the state, both historically and in the modern context. 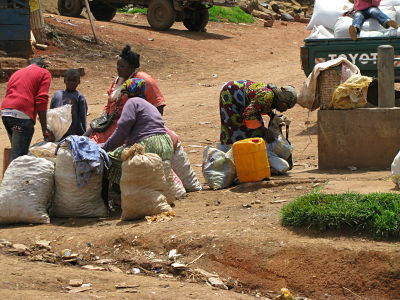 Historically, Cameroon is home to arguably one of the most severe genocides in Africa. Between 1959-1964, the national Cameroonian military targeted the indigenous Bamileke peoples, killing between 100,000 and 400,000. French involvement in the massacre is still in question, however, it is clear that the Cameroonian military were the primary perpetrator of the genocide. Many believe that there was French support of the Cameroonian military and their aim was to exterminate the ethnic group most likely to offer a presidential candidate in post-colonial Cameroon. I discussed this genocide with my host mother, Jacqueline Mafowe, who is Bamileke and was born in the early 1950s. Though her memory of the events is foggy, she does remember her family having to move to avoid the conflict. Even once families moved, she was told that they would often spend nights camped out in their fields to avoid raids lead by rival tribes or the Cameroonian military. During these raids, perpetrators would burn houses, steal livestock and loot the village of anything of value. Despite not having a great memory of the era, my host mother told me that the stories of her parents still haunt her and her siblings. 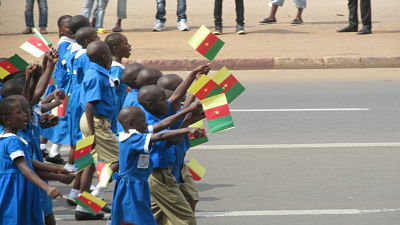 In the modern context, Cameroon is considered one of the most ethnically diverse countries in the world. Boasting over 250 ethnic groups, the country presents the potential for more ethnic tensions than most diverse African countries. Although today there is no active genocidal campaign against a particular group such as the Bamilekes during the early 1960s, there is clear discrimination against Cameroon’s Baka people (pygmies). Despite having the same legal rights (on paper) as all Cameroonian citizens, in order to access the most services one must obtain a national identification card. In order to obtain the card, one must produce a birth certificate, which is not possible for most Baka people since many are not born in hospitals. It is important to note that discrimination against Baka people is widespread across sub-Saharan Africa and does not apply only to Cameroon. Another instance of discrimination concerns the Francophone versus Anglophone populations. In 1962, British colonized territories in Nigeria were reunited with their tribal ancestors who had been colonized in French Cameroon. By the time the reunification happened, the colonized peoples had been taught English or French. Therefore British Nigerians spoke English and French Cameroonians spoke French—both groups let their native vernacular become a secondary language. Since the reunification, the majority Francophone population has proliferated in the education system and government, forcing the Anglophones to learn French if they want to receive a higher education or obtain a position in government. Director of the Dickinson program in Cameroon, Teku T. Teku, is a native of Buea, a city located in the heart of the Anglophone region. Speaking with him, I learned that during the 1980’s he and many other Anglophones were forced to learn French in order to attend University of Yaoundé I, which was the country’s sole public university at the time. “If you wanted higher education, you had no choice,” Teku told me. Teku’s time at University Yaoundé I allowed him to obtain a scholarship to study abroad at Dickinson College in Carlisle, Pennsylvania, and subsequently lead to his ascension to director of the program in Yaoundé. Had he not learnt French, none of these opportunities would have been available to him. The next factor necessary in early forecasting work is examining political instability and increased military activity. In both these areas, Cameroon is very complicated because despite apparent peace during its independence, the country has had few elections and presidents, and is ranked extremely low on freedom indexes. In 54 years, Cameroon has had 10 elections that have produced only 2 presidents, both of whom undoubtedly fixed conditions to maintain their power. These conditions include appointing ministers, paying high salaries to military officials and intimidating other political parties and candidates. While well known, this is hard to definitively prove since the government makes it difficult to obtain financial records and monitors the press to make sure it publishes stories that favor the government. On the Freedom House Index, political rights in Cameroon were ranked 6/7 and civil rights 6/7—seven being the lowest possible score. In Cameroon, military records are not made public, and therefore, analysis of its activity is extremely hard to monitor. In light of the Boko Haram movements in northeastern Nigeria, the Cameroonian government has made their military movements more public. 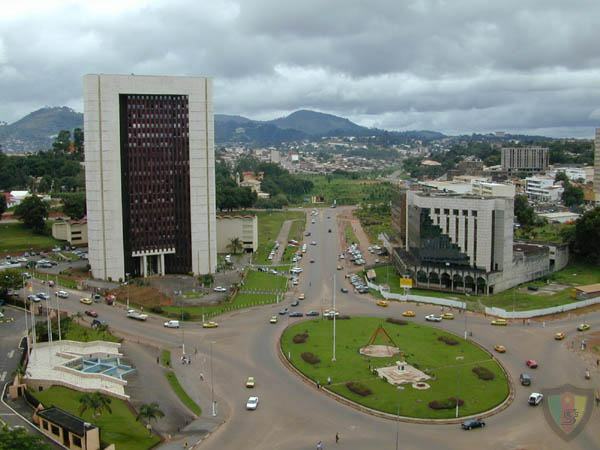 In recent months, military forces in Yaoundé have practiced blocking off roads, setting up check points and enforcing its will over the city at a moment’s notice in an attempt to increase security measures. As a temporary citizen of Yaoundé, the efficacy with which the military imposes its will over the city is simply terrifying. The blocking of a single road sends the entire city into frenzy and creates traffic jams that stretch for kilometers. Furthermore, their strategically placed checkpoints at intersections and major junctions have forced me to produce my passport several times in the past month. Both of these military demonstrations have proved to me how the Cameroon government could shut down and exploit its capitol city in under an hour. This last factor that plays an important role in determining a country’s susceptibility to genocide involves a state’s volatility with other states. This can be an indicator of how volatile a state might be within its own borders. In this regard, Cameroon has been very well behaved and even exemplary. As civil wars, insurgencies, and other violent conflicts have ravaged the Central African Republic, Nigeria and DRC, Cameroon has opened its doors to thousands of refugees. The state has allowed humanitarian organizations to set up refugee camps and provided educational, medical, and nutritional support for those in need. With regard to Cameroon’s relationship with neighboring states, professor of political science and international relations at University of Yaoundé I Elizabeth Nkongho told me that, “although Cameroon has not done a lot right in the way of politics, the government has respected AU and UN conventions regarding refugees and displaced persons.” Furthermore, Cameroon has not been involved in border disputes or territorial wars with its neighbors, barring the reunification issue that was discussed in previous sections. Early warning forecasting—at its core—is simply the realization of modern technology and analysis that can help monitor and track factors that lead to genocide or mass atrocity. Through this sort of analysis, the international community and other actors can monitor “at risk” countries and better prevent genocide and mass atrocity events around the world. Furthermore, early warning forecasting models can serve as monitoring systems to collect data to prosecute those who commit genocide and mass atrocities. What’s more, forecasting highlights problems and factors that are not evident to the untrained eye and proves that genocide is never a spontaneous event, but a process. Even a trained professional living in an “at risk” country would have trouble foreseeing a mass atrocity without taking a bird’s eye view at the situation. But when you weigh all these factors together, a seemingly stable state can prove to be a risky environment, prone to mass atrocity. During my time in Cameroon, I never would have believed that the country would have been so susceptible to an event as severe as genocide. But after examining these factors, it has become dreadfully clear how such a horrible event could come to fruition. The author would like to extend a special thanks to Dr. Ben Goldsmith at the University of Sydney for his expertise and guidance regarding early warning forecasting systems. This entry was posted in Forecasting for GenPrev, Guest Preventer on June 18, 2014 by mikeotterman1.